We’d love your help. Let us know what’s wrong with this preview of Scarred Beauty by Jennifer Silverwood. Yet as she discovers the true nature of the other beasts, she learns she must embrace madness in order to free them What happens when Beauty becomes the Beast? To ask other readers questions about Scarred Beauty, please sign up. 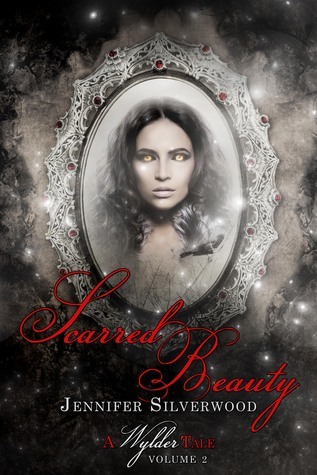 I received this copy of Scarred Beauty from Jennifer Silverwood. This is my honest and voluntary review. Scarred Beauty is a pretty good addition to the Wylder Tales series. I give it four stars. I am looking forward to the upcoming release of the third installment. This review has been hidden because it contains spoilers. To view it, click here. I would like to thank the author for offering this book on exchange for an honest review. The unique thing about this version of beauty and the beast is its gothic twist. Vynasha is a beauty that has become a beast in her transformation through blood magik with Grendell. It gets even more interesting with the addition of Baalor pack leader of the Wolvs that Wolfsbane and his daughter have vowed to hunt down. Ceddrych the wanderer is now the traitor as his relationship to Resha is found out by the I would like to thank the author for offering this book on exchange for an honest review. The unique thing about this version of beauty and the beast is its gothic twist. Vynasha is a beauty that has become a beast in her transformation through blood magik with Grendell. It gets even more interesting with the addition of Baalor pack leader of the Wolvs that Wolfsbane and his daughter have vowed to hunt down. Ceddrych the wanderer is now the traitor as his relationship to Resha is found out by the pack . And the chemistry between Vynasha and Baalor makes the book very exciting. "Snow drifted from the sky with a gentle kiss to their skin as Erythea led Vynasha between curtains of tree branches and snow. " "Thea kept close to her, matching her steps until their footfall was soft as the snow drifting overhead"
The writing is very good. The author does a wonderful job of setting the scene and keeping one interested and invested in the plight of the heroine. She does an excellent job also of fleshing out the characters through words ,action, and descriptions I especially liked Ceddrych's eyes how they changed from The beast to The human. ”“Resha,” she gasped and turned her head further, to catch the glimmer in his emerald eye. " The chapters were a good length allowing for reading to be done a chapter at a time. I've read some books where the chapter never seems to end and it's hard to take a break to do things like eat, sleep, you know the rest.